The annual WAIS Conference is planned and implemented in accordance with the Essential Areas and Policies of the Accreditation Council for Continuing Medical Education through the joint sponsorship of the Society of Interventional Radiology (SIR) and the Western Angiographic & Interventional Society. 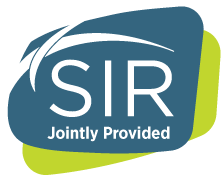 SIR is accredited by the ACCME to provide continuing medical education for physicians. Physician CME Certification for the WAIS Annual Conference is provided by the Society of Interventional Radiology.